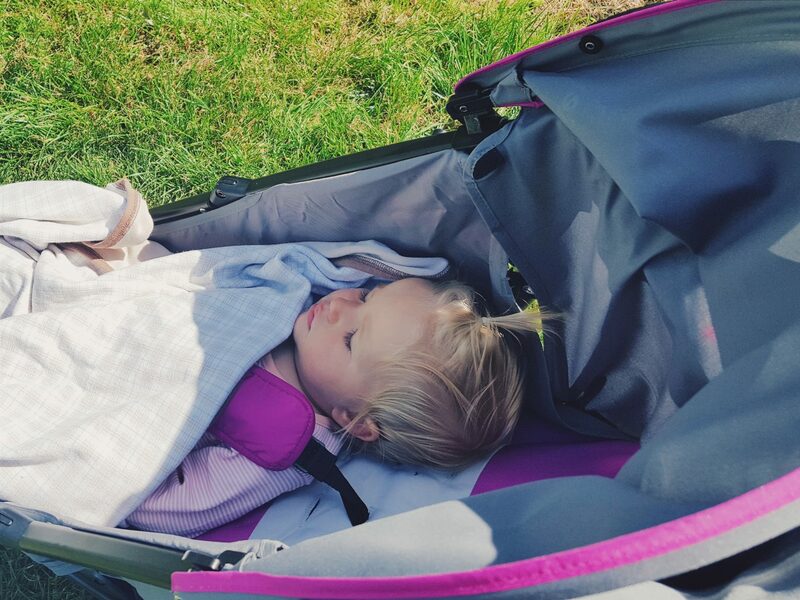 With the summer holidays here, and lots of adventures and travel plans coming our way, I felt like it was time for a small lightweight buggy for day trips and flying. I went for the Joie Nitro from kiddies Kingdom, and so far are rather impressed. 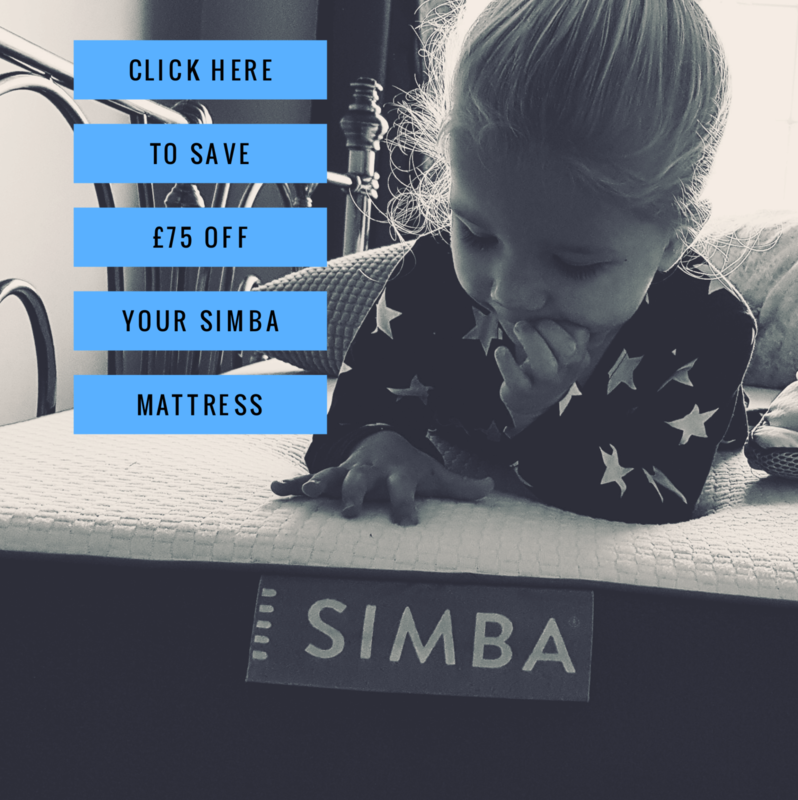 Kiddies Kingdom are one of the UK’s leading online baby and toddler retailers and always offer a price match guarantee. 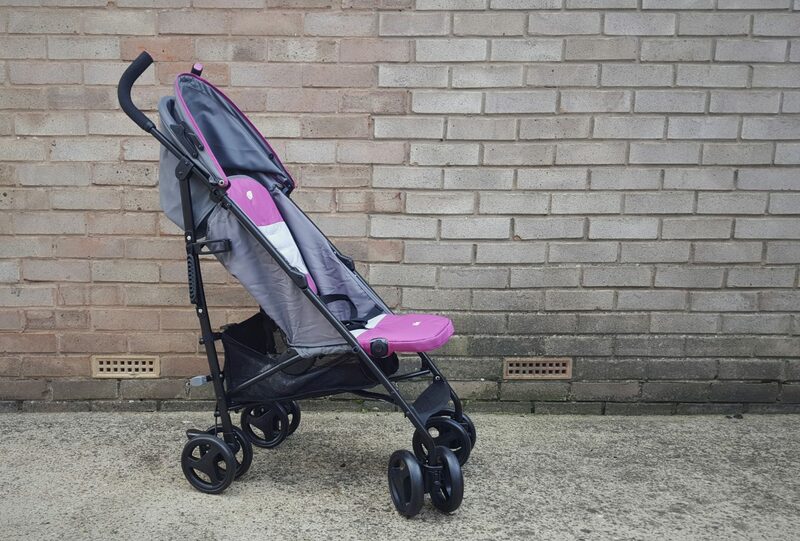 So whilst this buggy usually retails at £80 it is on their site for just over 50, which I thought was really affordable for a stylish and sturdy number as this! 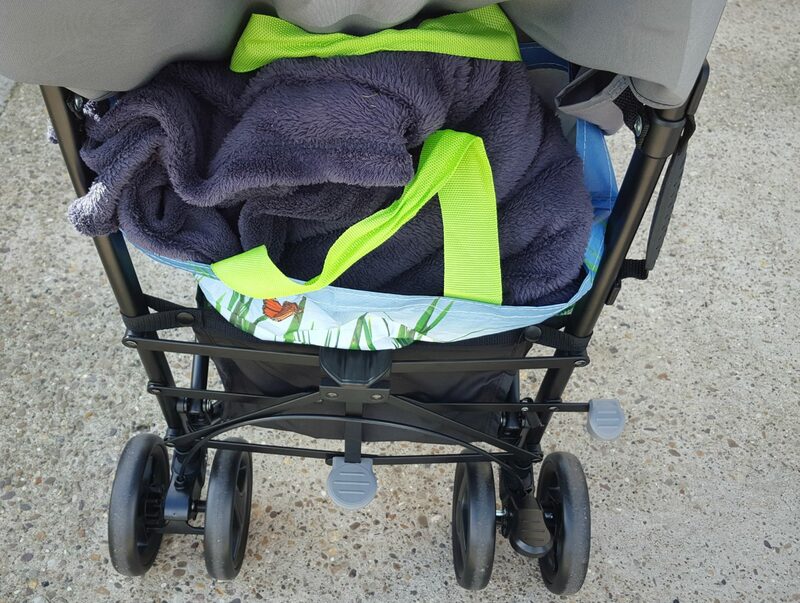 I am used to my bugaboo Cam 2 that is easy to steer, incredibly comfortable for Alice and has great storage underneath. I love it for walking around towns, cities, for school runs, off road and everything in between. 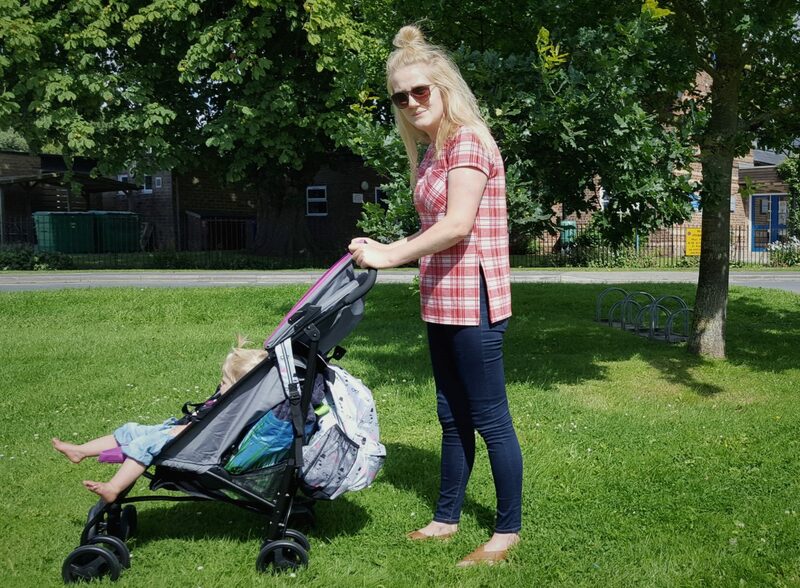 I am quite aware that this is far from that and for a price tag under £60 I wouldn’t expect it to be in the same league, but I was hoping for a sense of ease, something practical for travel and day trips, and comfortable for little Alice. I am pleased to say that it ticks all the boxes for everything I had hoped for and I am really enjoying using it! I wanted something light and easy to carry for when we go away, yet I wanted it to feel robust too. This is both, and looks good in the process. I love the charcoal, light grey and pink combo – it really feels “me” and matches well with my new Aldi flamingo backpack (meant to be?). 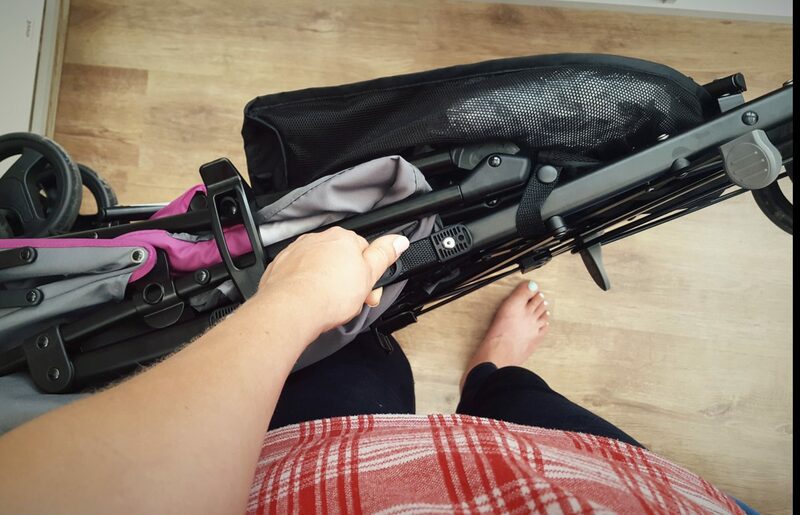 It is easy to put down, store, carry (with convenient sturdy handle) and best of all when pushing it, it feels well built and comfortable. Steering is a lot easier than I anticipated, and it has a great height so I don’t feel hunched over (I am 5ft 8). I have used it on roads, grass and even ended up dragging it through local fields with the kids on a country walk – I was pleasantly surprised to find that it was all rather easy and straightforward and felt wonderfully robust! The basket is ample for a picnic bag (or any bag of tat we may need to chuck on) and my back pack hangs nicely on it too (convenient). It is comfortable with the handles and swivel wheels, and has a simple break that works well too. Alice seems content and comfortable in and seems to enjoy the change of being forward facing and looking around. 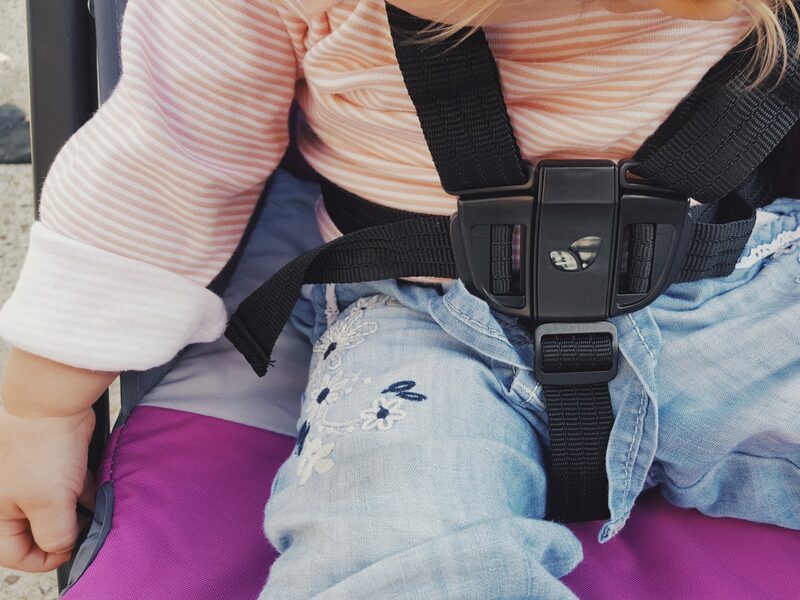 It has an adjustable leg rest, and the harness fits well and is quick to release/adjustable as she grows. It has a really easy to use recline which has proven good for naps. Every little detail seems to have a lot of thought in it which all adds to the convenience of using it as a quick and easy travel solution! I think this is going to be so good for when we go to Italy next month so that Alice can still nap whilst out and about and just to dump bags on for the beach and site seeing. I also look forward to using it over summer holidays as already it has been a great asset to life for quick days out and trips to the park. 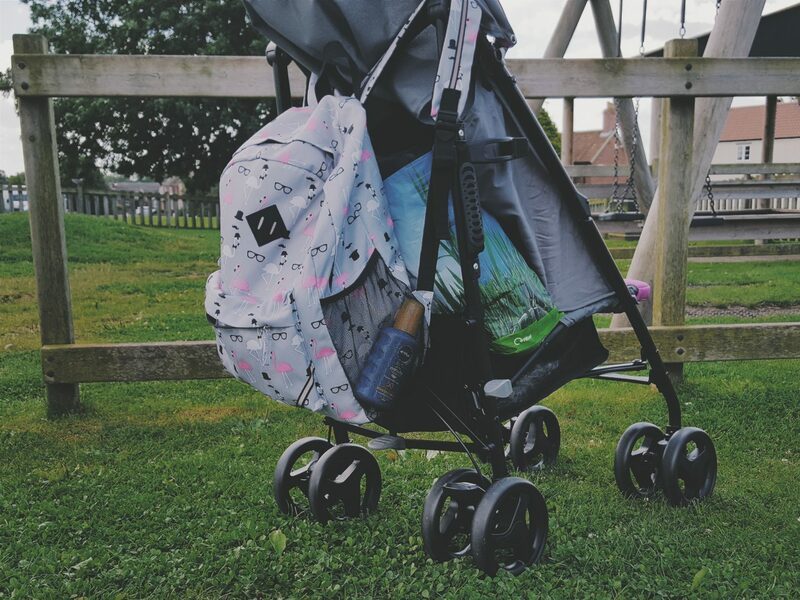 I love that it has a lovely sun shield and rain covers, so whatever the weather we can get out and about without having to lug my big pram around the museums, trains, cliff tops and airports – It folds down in about 2 seconds and is very simple and quick to both put up and fold away which I find really efficient and simple. 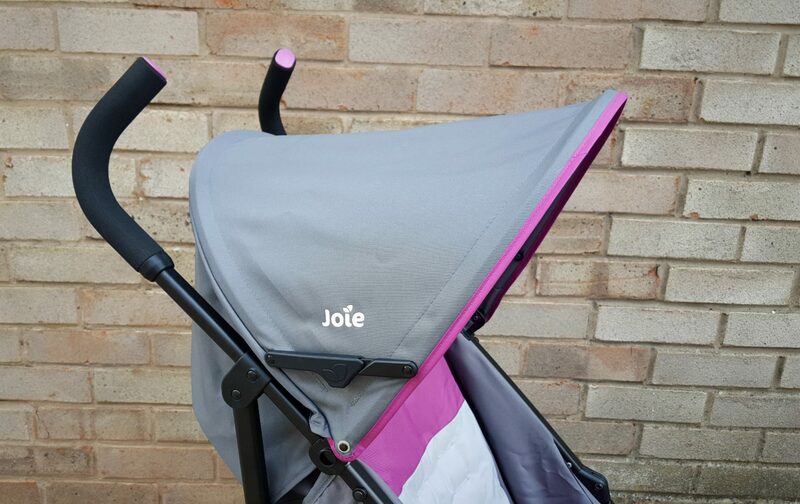 I am so pleased with the Joie Nitro as a secondary travel and adventure buggy, and the price it was available at was a steal! Kiddies Kingdom are filled with amazing deals and lovely products from over 150 brands such as Icandy, Silver Cross, Joolz and Joie. They are very excited to be launching their first concept store in Dewsbury, West Yorkshire this Sunday (the 30th July) where they will not only have these brands on display, but fantastic offers too to treat customers to! The 9,000 sq ft. showroom will be the largest in Yorkshire (and in the North!) and will be including some incredible features such as a full-sized car where parents can practice their car seat fitting skills, a ‘Baby Wish List’ that can be created in order to contribute towards a gift for a new arrival, as well as an embroidery service so that customers can make their purchases extra special and add a personalised touch, as well as many other great activities! If you are near by be sure to check it out … you too may bag yourself a shiny new buggy/stroller, car seat or even some fun outdoor toys for the kids this Summer! *Thanks to Kiddies Kingdom for gifting us the Joie Nitro in return for an honest review. All thoughts and pictures are my own.